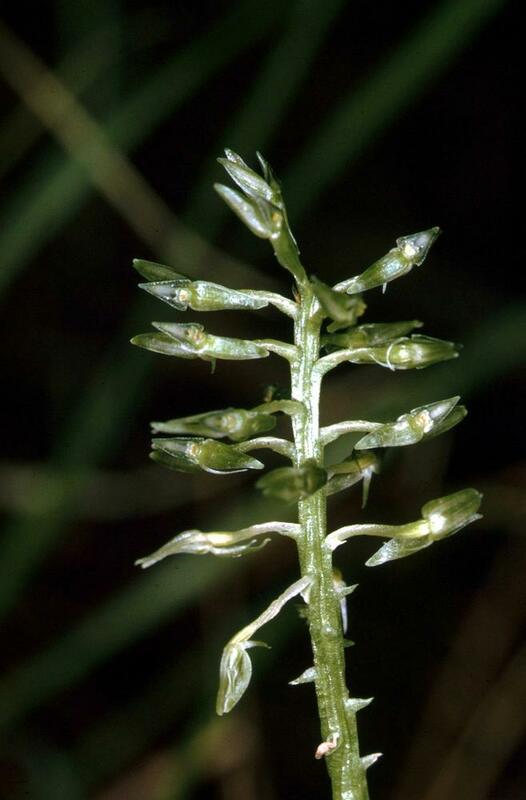 Accepted Synonyms: Malaxis tenuis, Microstylis tenuis. 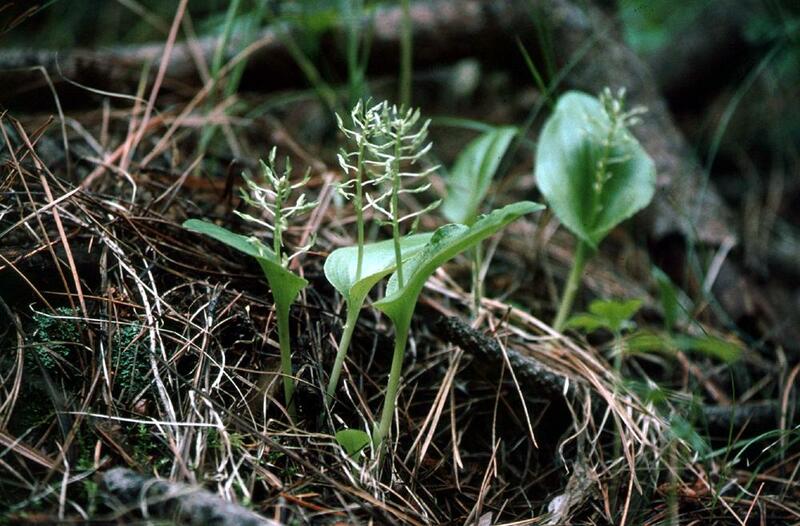 Malaxis abieticola, the Arizona Adder's Mouth Orchid, can be found at high elevations in Arizona, New Mexico, and Mexico. 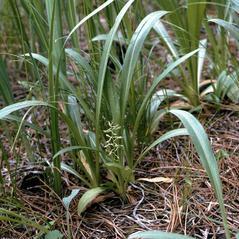 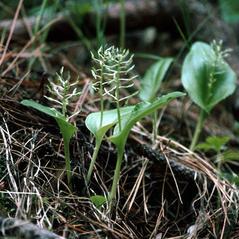 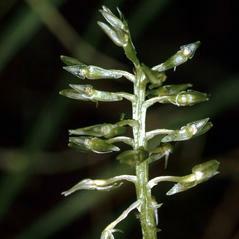 This orchid produces a single leaf and a cylindrical inflorescence of several tiny, very narrow green flowers. 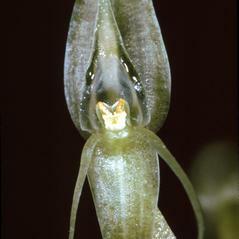 The green labellum has an arrowhead shape with 4 dark green stripes. 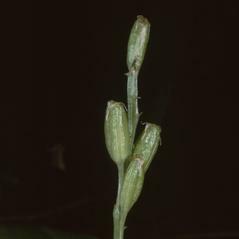 At the base of each petiole is a small triangular bract. 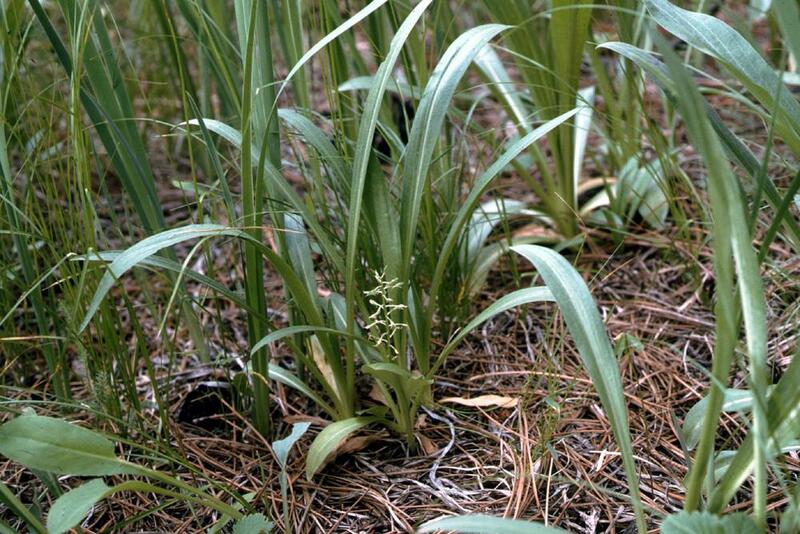 Malaxis abieticola can be found in mossy and grassy areas in fir woodlands and hillsides and near the edges of meadows. 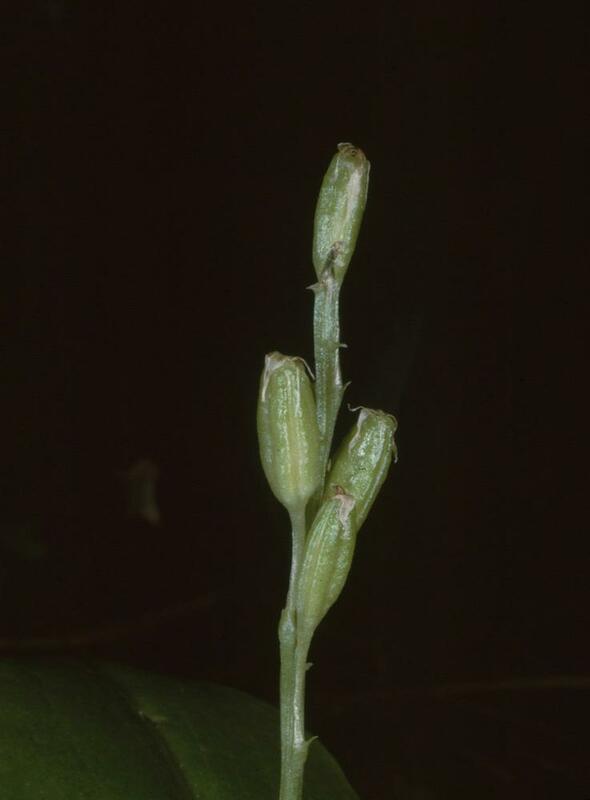 Malaxis abieticola is considered globally secure because it is common in Mexico, although it is rare in Arizona, and perhaps known from only a single location in New Mexico. 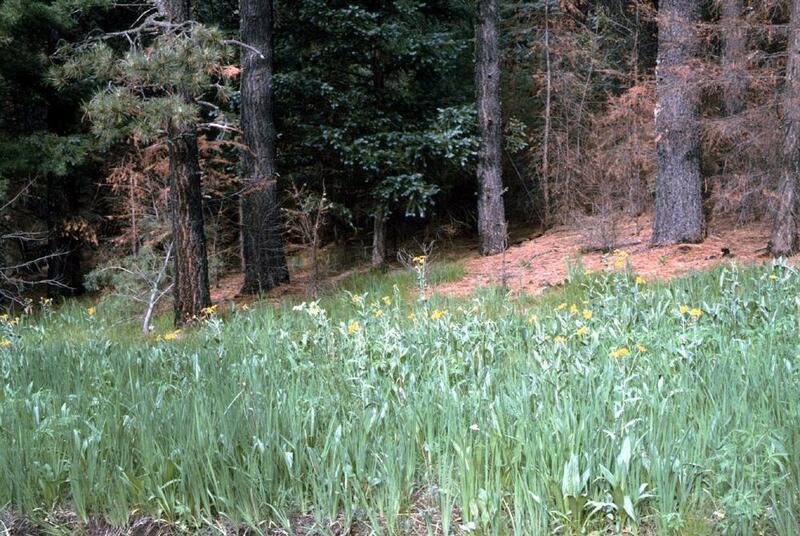 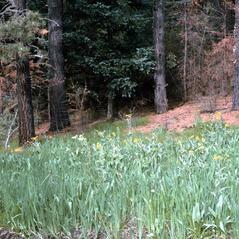 Many of the Arizona populations are protected by wilderness areas, but the New Mexico location is threatened by logging. 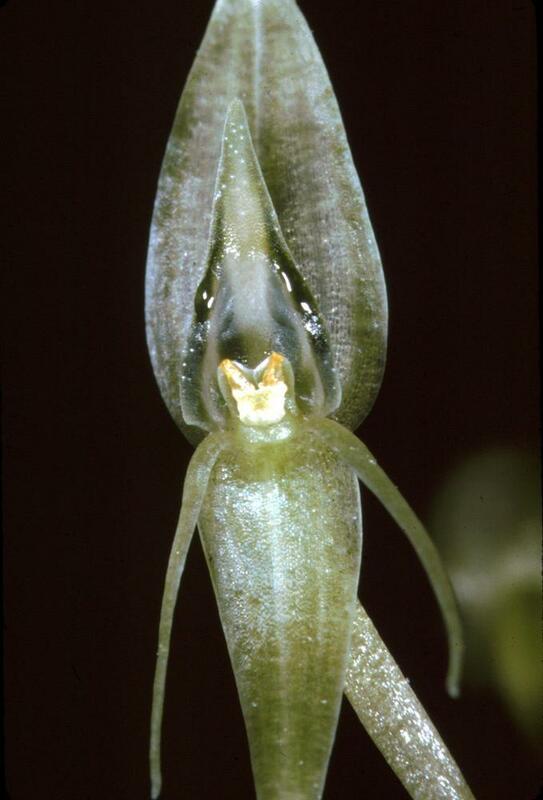 This orchid is pollinated by fungus gnats and gall gnats.